Just as the world’s controlling population won that control by selling goods, and services, humanity must use this same means to win back the level of political influence necessary to first winning its battle against them, and then winning the battle against climate change. Humanity must go into business for the sake and interests of humanity, and market products that compete with, and win against, products marketed by today’s controlling population. 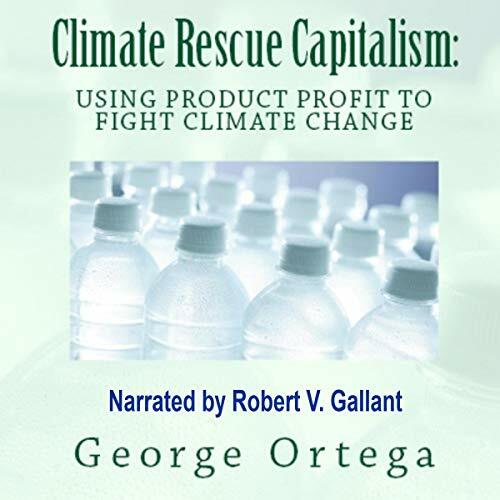 Climate Rescue Capitalism is a powerful vehicle by which business profit within a capitalist economy can be redirected in order to fight climate change. It is a way to direct product profits away from conventional corporations and toward the funding of the scientific, sociological and political initiatives needed to best mitigate and adapt to climate change. As such, it represents a pragmatic coming together of capitalist and socialist perspectives that maximizes the fundamental strengths of these two disparate economic systems, as they relate to climate change. As a strategy, Climate Rescue Capitalism, is deceptively simple but of unparalleled promise. The idea is to create new companies we will call Climate Rescue Corporations that do business in order to finance the fight against climate change. These corporations would be owned and operated by private individuals as well as not-for-profit climate change organizations. They would manufacture products to compete with existing products offered by conventional companies. Consumers would choose Climate Rescue Corporation products over those of their competitors because they would prefer to see the profit from their purchases be used to fight climate change than to further enrich private corporations. This market-based means of increasing humanity’s ability to fight climate change is called Climate Rescue Capitalism for two reasons. First, because it is a capitalist venture designed expressly to fund the fight against climate change. And second, because it is a free-market capitalist venture in every sense of the word. It requires no government participation, and infringes upon no one’s personal, political or economic freedom. It is nothing more, or less, than the utilization of capitalist marketing principles and practices for the purpose of fighting climate change, rather than to further enrich the individuals and corporations whose stranglehold on our world’s political will to fight climate change is neither ecologically sustainable, nor morally acceptable.